Use Your Favorite Fall Fabrics for Yourself or for Gifts! This charming pot holder is both decorative and functional. 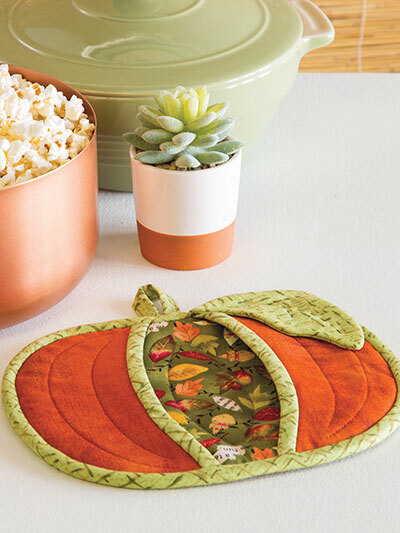 Make one or more in your favorite fall fabrics and give your kitchen a lovely seasonal accent. We can easily imagine several in varying hues hanging next to the stove. They make wonderful gifts, too, so keep them in mind for a fall housewarming or shower gift. Construction is simple enough that even a beginner can quickly finish them up. Insul-Bright batting provides the heat proofing. The finished pot holder is 9″ x 7″. 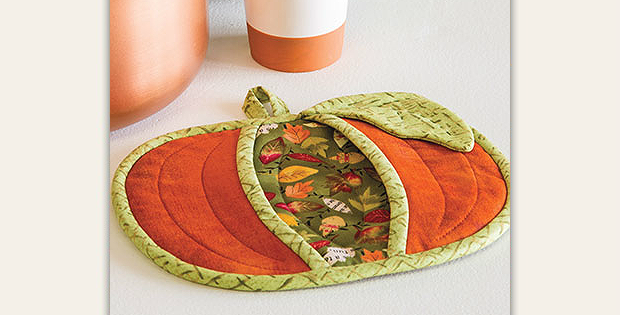 Click here to purchase the “Pumpkin Pot Holder” pattern.